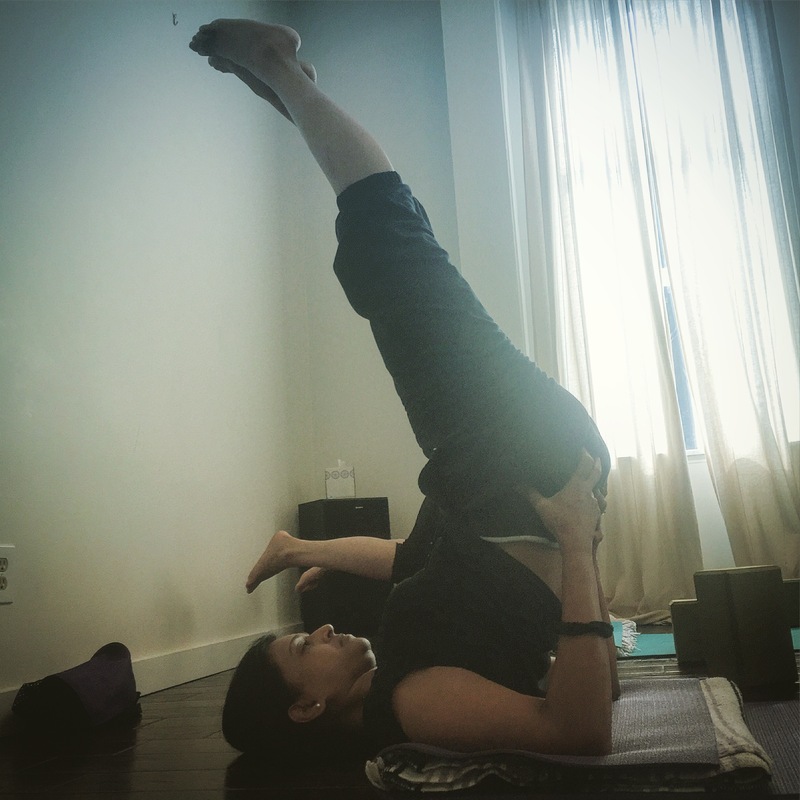 Sonal Jhaveri working the shoulder stand. Committing to a 30 day program is not easy for me. There are lots and lots of ways I want to organize and spend my time – and I did not not not want to come to yoga this morning. These classes, while invaluable to both my physical and emotional well-being, are time consuming. The shortest classes run for 60 minutes, so when I add in travel time and set-up/put away, it’s almost 2 hours out of my day. Every day. But if I’m being honest, I’m starting to get nervous about the fall. Am I going to be able to maintain my newfound and tremendously beneficial practice when I’m taxi-driving the boys to opposite ends of the city, or preparing lesson plans, or working for the magazine? Will I be able to launch upcoming projects if I’m spending 7-12 hours a week on yoga? What is my commitment when the 30 day challenge concludes? How important is my health?